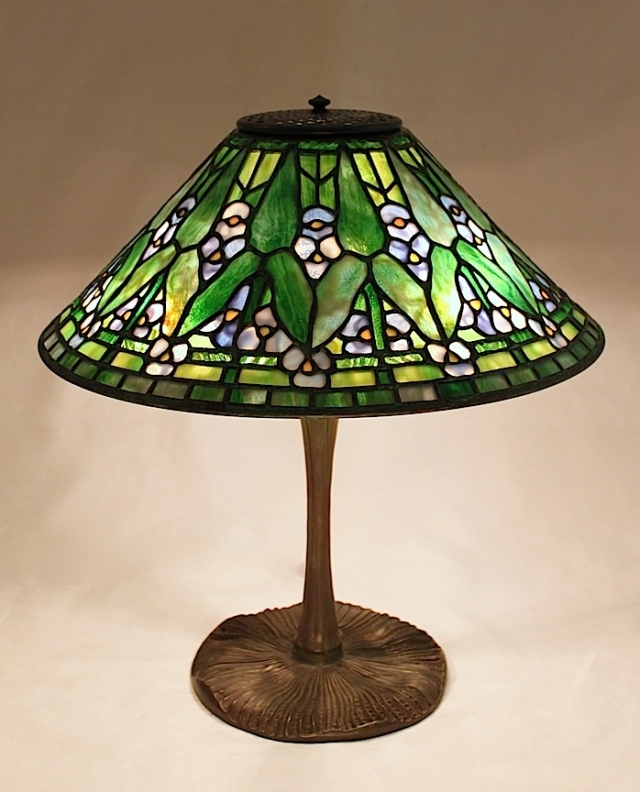 The newest addition to our line of stained glass shades is the 16″ Arrowhead. 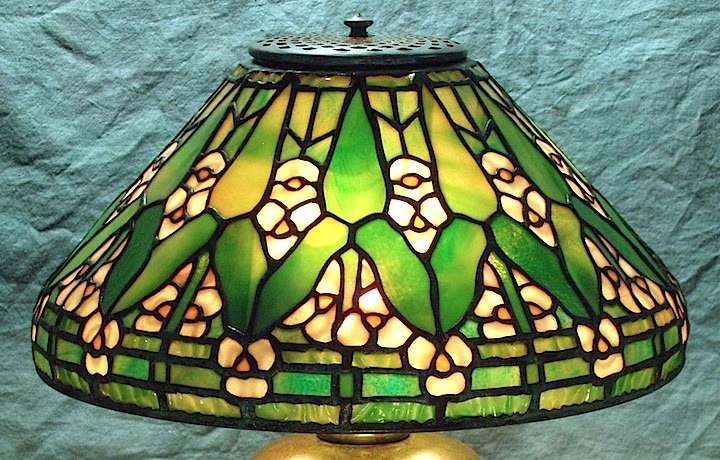 This shade is a Century Studios variation on the Tiffany 14″ Arrowhead shade. 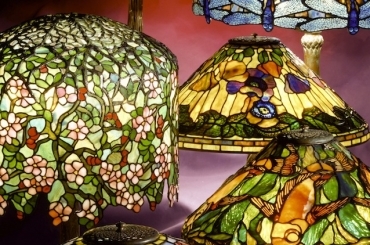 The original Tiffany 14″ shade design curves back under itself at the lower portion of the shade, creating a compact shade. Our 16″ Arrowhead flares straight out, giving the shade a more angular appearance, which works well with the pattern. Commissioned by a local client, the shade is shown on the highly detailed Mushroom base.